Congratulations on the achievements that have led you to this step in your journey. New Student Orientation marks your entrance into the UWM community. 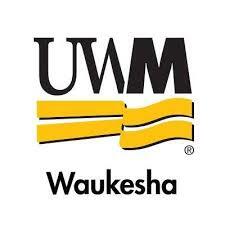 This program will introduce you to the UWM at Waukesha campus, as well as to other new students and families. New Student Orientation is intended for new students to register for classes and learn about campus and the resources available. Parents are welcome to attend Family Orientation. Step 1: Take Placement Tests (UWM has to receive your scores before this item is removed from PAWS – it can take up to 2 weeks) with required essay component. Freshmen Placement Testing information can be found using this link. If you are a transfer student who needs to take a placement test, please call 262-521-5040. When ALL of these steps are complete, you’ll be able to pick your orientation date. We look forward to seeing you at New Student Orientation! *This deposit is not refundable if you attend Orientation or if you do not cancel your Orientation registration at least 10 days prior to the program. After you register, you’ll receive a confirmation via mail and email about 1 week prior to the program. Part of your orientation experience is based on the meta-major that you select when you register for the event. When you login to the Orientation registration site, you will have the option to indicate your current meta-major. We want to accommodate any mobility or disability needs that you may have in order to provide you with the best orientation experience. If you need an accommodation, please indicate this when you register in the space provided. You are not required to bring a guest, but if you would like to bring family members with you, you are allowed up to 2 guests. Romantic partners (boyfriends, girlfriends) are not appropriate guests for this program. Please note you will not be with your guests for a majority of this program, including course enrollment. Plan to be on campus about 4 hours. Here’s the schedule for the program: Opening Presentation: Learn what it takes to be a student at UWM at Waukesha. Meet and Greet: Learn about the many resources we have on campus. Parent Session/Student Registration: Parents will learn how to best support their new college student while students use the computer lab to register for classes. You will receive your PantherCard, your official UWM at Waukesha student ID, at Orientation. Prior to Orientation, you will submit the photo you would like to appear on your PantherCard. All you have to do is take a photo of yourself and upload it through GET UWM, PantherCard’s online management system. Go here to the PantherCard Office website for detailed instructions and requirements for your photo. Be sure to upload your photo at least 48 hours prior to your Orientation date this summer to ensure an easy pick-up. 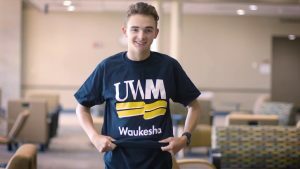 During the Orientation Program, you will have the opportunity to participate in the UWM at Waukesha Meet & Greet, which is a campus resource fair where you have the chance to talk to different offices on campuses about the services they offer and how they can help you during your time at UWM at Waukesha. Before being able to register for classes, you must complete your credit agreement. If you have not done it yet, you can complete it through your PAWS account. Log in to PAWS, click the Credit Agreement link on your “To Do List” and complete your Credit Agreement there. One of the most important things you will do at Orientation is register for your first semester of classes. An advisor will be there to guide you on requirements for your major, but it’s a good idea to explore classes that fit your interests if you have room in your schedule. You can look at the schedule of classes for some ideas. Something to write with, a waterbottle, a sweater or light coat (most buildings are air conditioned and can get cold), and some spending money (the bookstore will be open during orientation programs). Talk to your student about their academic classes since you won’t be joining them for class registration. Bring something to take notes with – we provide a lot of information about resources and programs. Provide your email address to get on the PantherFamilies email list. Have questions prepared for the offices you’ll be hearing from. Bring a sweatshirt! Our buildings can be chilly. Connect with your student after the program to hear what they learned. Take the evaluation so we know how we’re doing! When attending New Student Orientation, we ask that you park in lot 4 off of University Dr. (1500 N. University Dr.). Orientation will be held in the Commons Building, directly across from parking lot 4. Leaders and signage will direct you to the check-in area (Commons Main Entrance). A parking permit is not required. Turn south off exit ramp and continue approximately 1 mile on Grandview Blvd. • Students will be able to make informed choices regarding academic, personal and social issues. • Students will take personal responsibility for their own success. • Students will feel welcomed, comfortable, engaged and excited to be a member of the UWM at Waukesha community. • Students will grow in their understanding and respect of others in a diverse community. We also expect that you have fun, come willing to learn and meet new people and adhere to all university policies during the program. Access to All Student and Family Orientation Presentations – Coming Soon!